“Street Smarts” was a phrase first heard on city streets in these years, vernacular street lingo or urban slang for opportunistic and shady street types. 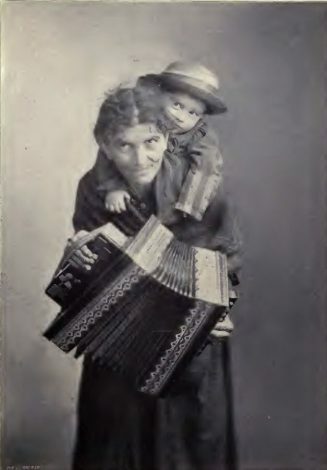 In the genre of visualized street “character studies.”Sigmund Krausz Street Types of Chicago (1892) was the first book of its kind published in the U.S., including both full-page studio photographs and an accompanying text. 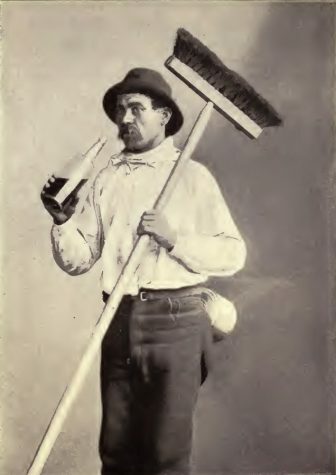 “Character” studies were a familiar feature appearing in nineteenth-century newspapers. Sweet-talking Fakirs or Fakers, Hustlers, Hucksters, Hawkers, Drummers, Dandys, Mashers, Beggars worked along oblique and slanted city streets. Intimately allied with this moving street business were children–boys mobbing the fakir, newsboys or newsies hyping the headlines to boost sales, street musicians, organ grinders, messengers, shoe shine boys. Children were a powerful presence in Krausz’s Photo studio at 29th Street and Cottage Grove Avenue. Buyer beware! A sucker born every minute! Every hook has its fish! Suckers lie in wait for bait!–newspaper headlines shouted. Shopping society women, heed the obsequious Masher on busy streets.